The Cell Phone Leather Case / Pouch allows you to take your Sony Xperia XZ2 Compact conveniently and safely. 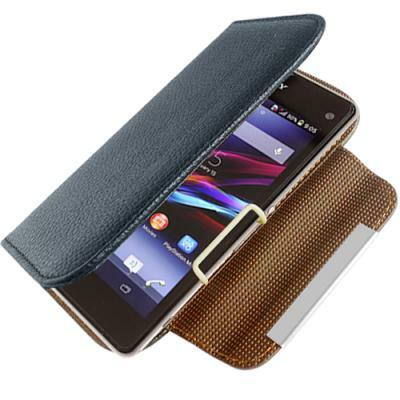 The Cell Phone Leather Case / Pouch holds the Sony Xperia XZ2 Compact in place and allows for comfortable using. Protect your Sony Xperia XZ2 Compact from daily wear.